Measure from highest point of shoulder downwards to find the appropriate length of garment for you. 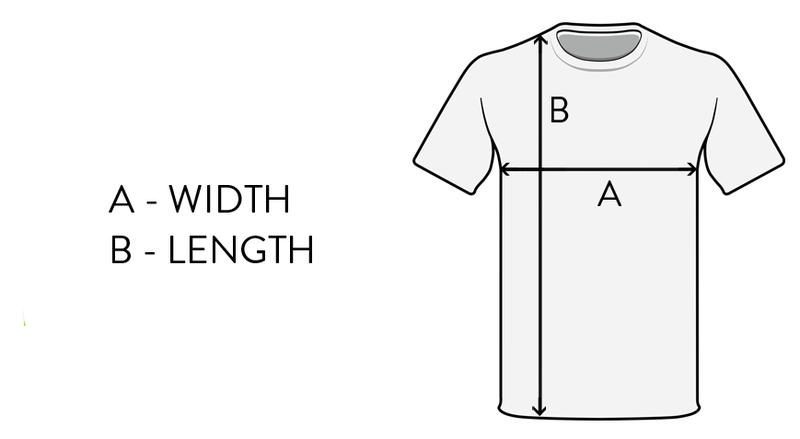 Measure from 0.5 inch below arm across horizontally to other arm to determine the appropriate width of garment for you. Please allow a 0.5 tolerance on all measurements. Gametee is a UK Gaming T-Shirt Store. All of our measurements conform to European Standards.